Entering the corporate world requires guts. It takes a very adventurous, confident person to turn an idea into a tangible endeavor capable of attaining a certain level of success and profit. But what exactly does it take to get there? According to many, some of the most popular and successful CEOs and heads of companies – most of whom were once aspiring entrepreneurs – have a set of habits that allowed them to create the structure they required for their careers. While some of these habits may seem a little too out there for some business minds, take into account that they created what we now call the success stories of Bill Gates, Jeff Bezos and Warren Buffet– there's no denying they work! It goes without saying that a healthy lifestyle is the pinnacle of what a satisfying life should be. And Richard Branson is one to know. The famous mogul, who managed to revolutionize the aviation industry in the 1970's, says he can't go a day without working out. A rigorous morning ritual that includes a balanced breakfast and some physical activity has been named as his main source of energy. But how does he make it last throughout the day? Well, most of his favorite sports include extreme activities like kite surfing, tennis or swimming, so it's safe to say that's a good energy boost he's getting. The good thing about creating positive habits is that they can have an effect on others, especially in work-related environments. Jeff Bezos, creator and CEO of Amazon, swears by his own personal rule: no meeting should be attended by a crowd that cannot be fed by two pizzas. This strategy boosts employee productivity, and allows for the right amount of people to be part of it. We all know how dreadful meetings can be sometimes, things as trivial as discussing what business stamps the company will use become the longest conversations in the world. This is why Bezos's idea seems like a perfect fit for teams seeking to expedite their discussions in a productive manner. 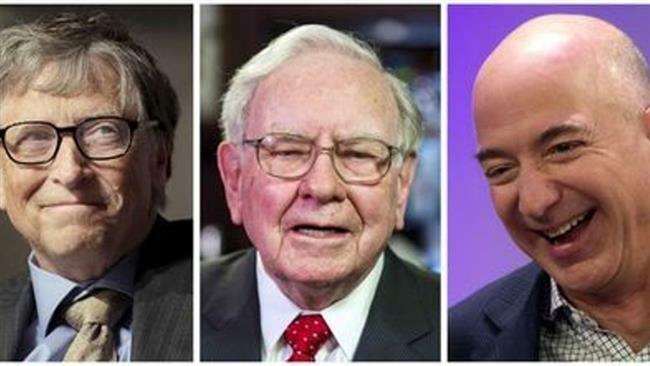 Life outside the office is very important, or so believes Warren Buffet. The business mogul always finds time to enjoy one of his favorite –and kind of unexpected– hobbies: playing the ukulele. Buffet is a popular fixture in his friends' parties; he has becomes so notorious for his skills, he's even been invited to play in public events like fundraisers. This goes out to show that maintaining a proper work-life balance is beneficial on all aspects. But if there is one habit we know has been scientifically proven to boost your productivity, one that Bill Gates swears by, is reading. He is said to read 50 books a year, something that has clearly enhanced his memory and cognitive skills– there is no way an outstanding CEO will survive the ups and down of the corporate world without some sharp reading skills. The day-to-day in the business world can be tiring. 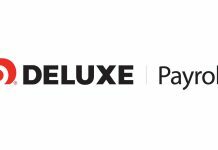 But when you create a strong habit system, you find that even when it comes to things like outsourcing your supplies to companies like Deluxe Business, everything can be a little bit less complicated. 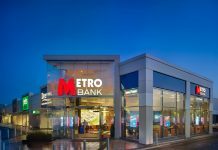 Is Metro Bank Losing its Mojo? Business Needs Vs. Business Wants: Is There Really A Difference? A Plastic Problem Or A Management Problem?